Tired of all the medieval fantasy role playing games out there? Risen 2 takes you into a pirate setting and is packed with detail. 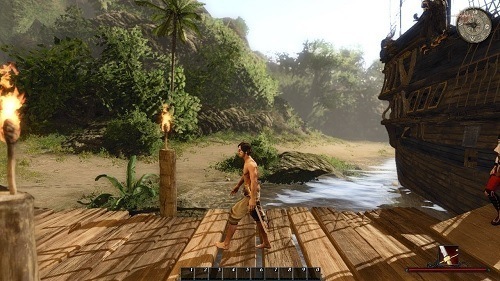 In Risen 2 you’ll sail the seas and explore a number of islands as you attempt to track down ancient artefacts to help you defeat a growing evil. The pirate theme of Risen 2 is its strongest point and definitely captures the feel of being a pirate. The world is loosely based in the Caribbean and has a very Pirates of the Caribbean feel to it. Customisation of your characters visual appearance isn’t offered in Risen 2 unfortunately with options limited to equipment, skills and attributes. Player attributes are split into five categories which includes sword fighting, firearms, voodoo, cunning and toughness. Each of these attributes is linked with talents which allow you to further define your preferred style of gameplay. Risen 2 uses experience known as ‘Glory’ for players to boost their attributes or talents which is rewarded for combat victories, location discovery and by completing quests. While visualisation might be on the low side the level of options to develop your own unique pirate does make up for it. 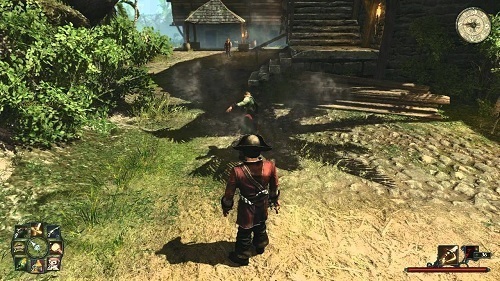 Risen 2 does a great job at capturing the pirate lifestyle and presenting it to players with impressive environments. Unfortunately the games other aspects are just average making the pirate appeal its main draw. Pirate themed action role playing experience. Impressive and varied environments to explore. Skill your pirate towards 5 different styles. Filled with voice acting to create the world around you.